On the orders of the Supreme Court, the National Accountability Bureau (NAB) had filed three corruption cases against the 68-year-old three-time former prime minister. ISLAMABAD: A Pakistani anti-corruption court hearing graft cases against the embattled Sharif family expressed displeasure on Monday after deposed prime minister Nawaz Sharif failed to appear before it in a corruption case. 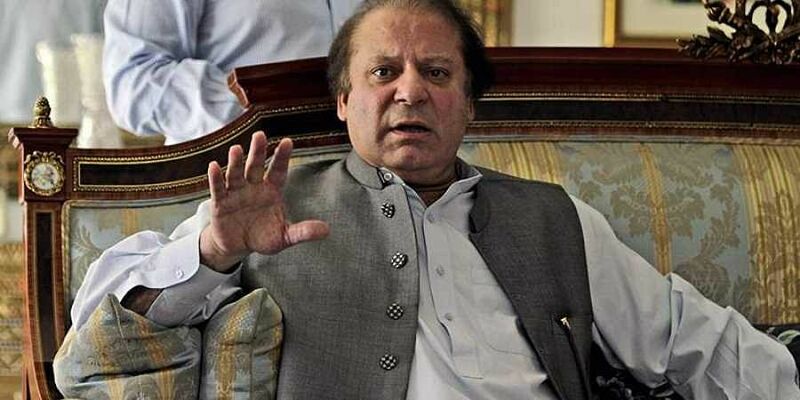 Accountability Court Judge Muhammad Arshad Malik warned that he may cancel Sharif's surety bond and issue arrest warrants if the former premier failed to appear before the bench in the Flagship Investment case hearing. A top Pakistani court last month suspended the jail sentences of Sharif, his daughter and son-in-law in the Avenfield corruption case, one of the three corruption cases. The trio were released from a jail following the court order. Apart from the Avenfield case, the Sharifs face jail terms if they are convicted in two more corruption cases related to the Al-Azizia and the Flagship Investment cases. The cases against the family stemmed from the Panama Papers case in April 2016. The Flagship Investment Ltd case is based on information the NAB had obtained from the report filed by the Joint Investigation Team constituted by the Supreme Court to probe money laundering allegations against Sharif and his family. The court had summoned Panamagate joint investigation team head and prosecution's star witness Wajid Zia to record his statement on Monday. However, Zia's statement could not be recorded as the former premier and his counsel did not appear for the hearing. Expressing anger over their absence, Judge Malik remarked, "A suspect cannot skip a hearing on his own will," Geo News reported. The judge was further irked when defence counsel Khawaja Haris requested, through his associate Munawwar Iqbal Duggal, for a two-day adjournment of Flagship, Al Aziziya and Hill Metal Establishment case hearings, owing to health issues. When the judge inquired about Sharif's absence, Duggal said that the accused was supposed to appear and sought time to find out why the former prime minister did not turn up. "Neither the suspect nor the counsel are present. Am I supposed to wait all day?" Judge Malik asked. "I adjourned hearings of other cases to hear yours, please tell me what you all want," he further said. He added, "I will write down an order and then you all keep challenging it.
" To this, the deputy counsel said he is trying to contact Sharif and asked for a few minutes to update the court. Later Duggal told the court that the Pakistan Muslim League-Nawaz (PML-N) supremo did not appear owing to "genuine confusion". The defence counsel added that Nawaz, however, was willing to immediately leave Lahore if the court allowed two to three hours to travel to Islamabad. Judge Malik then chided the defence counsel and the accused of wasting the court and witness' time but accepted their assurance regarding Sharif's appearance for the future hearings. Referring to Haris's adjournment appeal, the court noted that the request could only be accepted as far as the Flagship case was concerned and adjourned the hearing until October 4. The accountability court, however, will hear the Al Aziziya and Hill Metal Establishment corruption cases on October 2. Sharif and his sons, Hussain and Hasan, are accused in all three corruption cases whereas his daughter Maryam and her husband Capt (retd) Muhammad Safdar were accused in the Avenfield case only. The two brothers, based in London, have been declared as proclaimed offenders by the court.